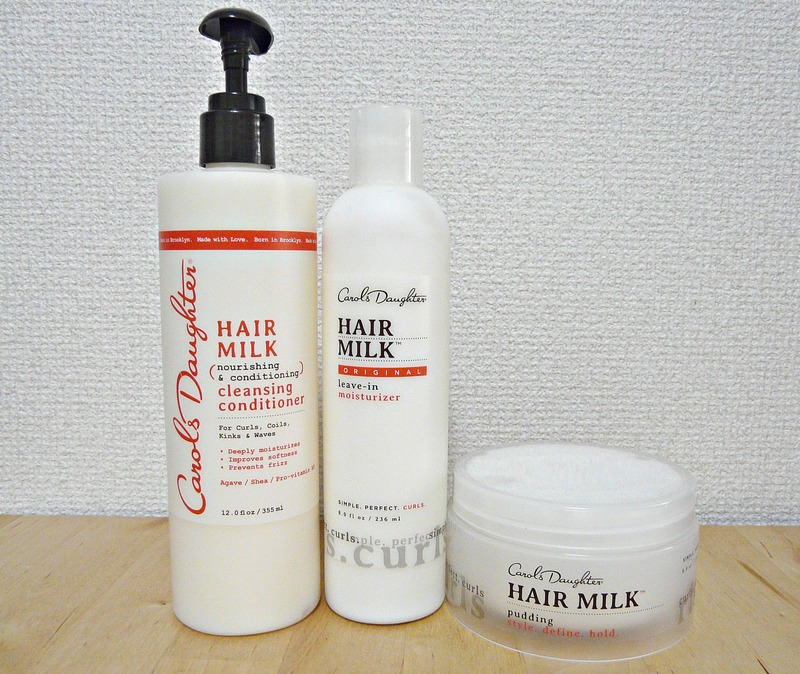 The premise of the Carol’s Daughter (CD) Hair Milk Deep Moisture Curl set is that getting the perfect curl shouldn’t be a long drawn-out affair. With the product line consisting of 3 products, the aim is to simply cleanse, moisturise and style in 3 easy steps. Even though I’ve had this set for a while, I decided to only review it after I had used it a few times in order to experience the full effects of the products over time. It’s the first time I’ve ever used all the products in a specific curly hair care range and all I can say is that I’m in love. It cleansed my hair and scalp without stripping it of all moisture. My hair felt soft and moisturised after rinsing it out. It provided a good amount of slip so I was able to detangle while the conditioner was still in my hair. It smells distinctly of roses, but not so strong as to put me off. It’s very light-weight and absorbed easily into my hair. I was able to detangle even further after I applied it as it provided a lot of slip. My hair felt very soft and moisturised in the immediate couple of days after styling. I loved the subtle fresh aroma, a lot fresher than the cleansing conditioner. If you’re after a product to provide hold, but you don’t like using gel, this is the THE product to reach for. Although I don’t usually use products to supply extra definition or shape to my curls, I was very impressed with this pudding. It’s light-weight and didn’t leave any tell-tale white flakes. My defined curls lasted a good 3 days. It contains guar gum, which is responsible for the natural hold. As it is on the pricier side, I’ve decided I’ll save this pudding for the times I do styles where I really want more curl definition (which probably won’t be very often). It was definitely worth the wait for these goodies to arrive in the mail, as I love how my hair turns out every time I use it. I styled with the products in this post, and over here it was the same twist-out on its second day. The first time I used it I didn’t seal with an oil as I wanted to try the range simply as intended, but the second time I used it I decided to seal everything in with my usual coconut oil and that really did the trick – I had moisture for days. Although I think a small amount of frizz is inevitable with natural curls, I definitely had less frizz with this line. I also love the fact that all the CD products are completely free of sulphates, parabens, petroleum, mineral oil and artificial colours. As for pricing, have a look over here. And just in case my post hasn’t summed it up, I would definitely purchase this range again and wholeheartedly recommend it for all curly girls. As always, love your curls! Disclaimer: This is not a sponsored review. Hi Hun, thanks so much for getting in touch and for the amazing compliment. Unfortunately the full range of Carol’s Daughter products isn’t available in South Africa. I purchased mine from their online store, and they are based in the United States. In terms of products in SA, yes you can try Clicks for Aunt Jackie’s Curl LaLa Defining Curl Custard. Clicks also stocks Dr Miracle’s Curl Care Range – perhaps try the Soft Hold Créme. I’m so happy that you’ve decided to stop by today. Sign up so that we can get to know each other a little better.